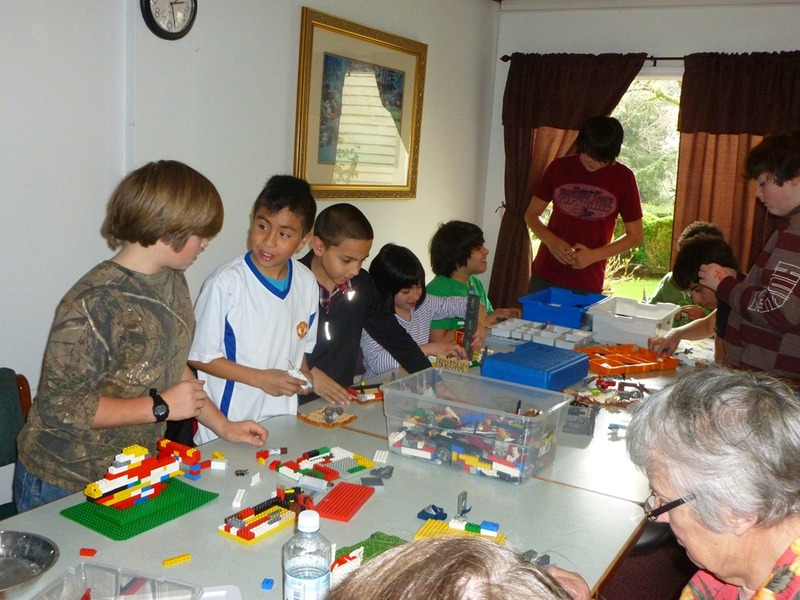 Our First Lego League teams found their start at a Lego Club gathering at the Driftwood Public Library. 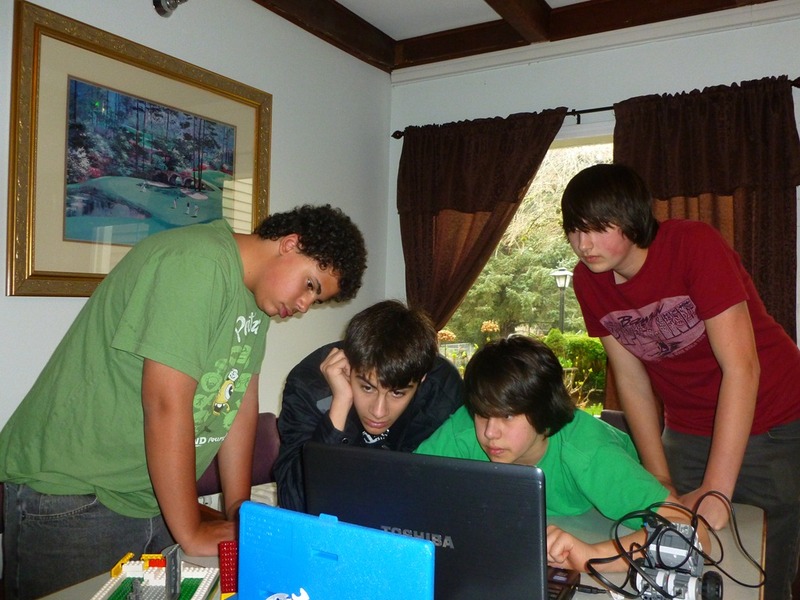 A coach of FLL Teams walked by our gathering of 30+ kids and said – Woah! I see Teams! 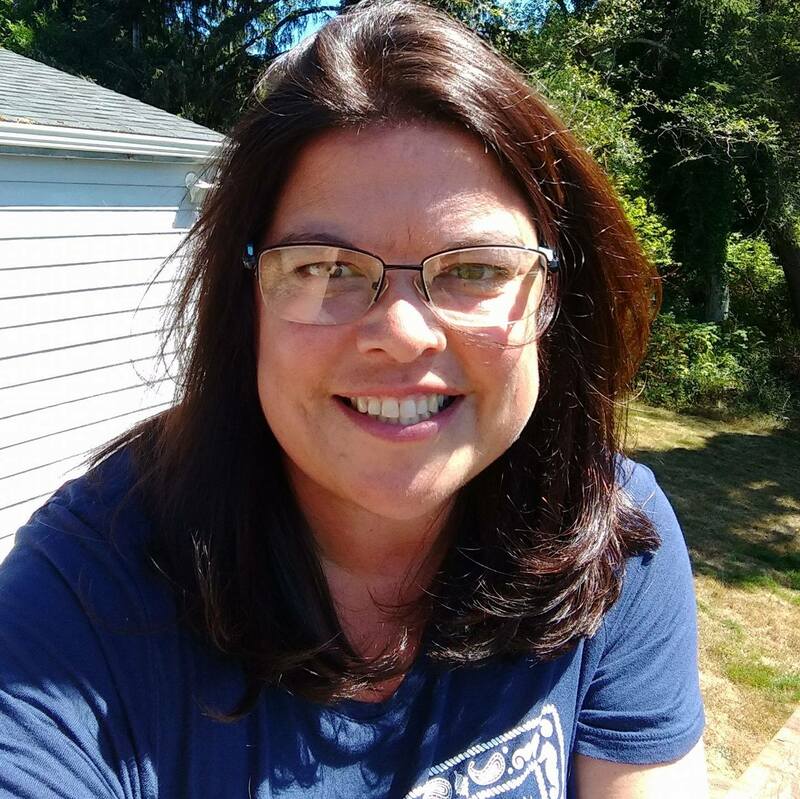 She has since started six that I know of in our area from the contacts at Lego Club. 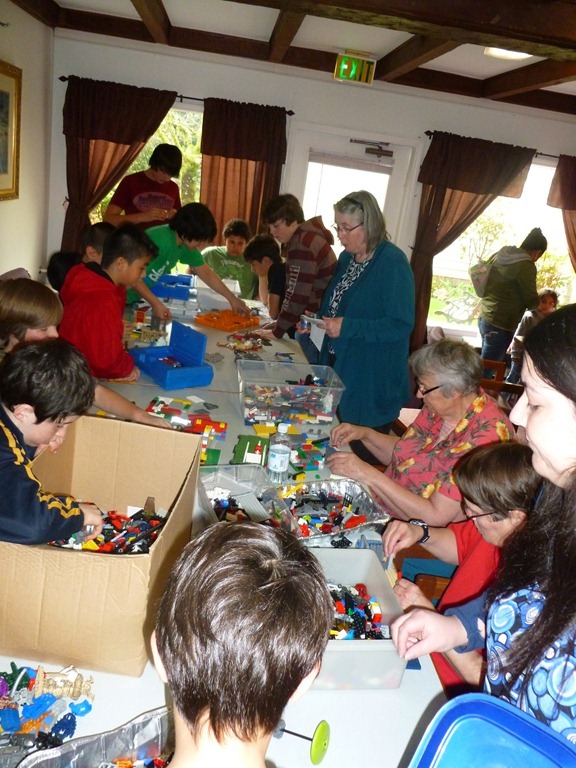 Our Librarian, Teena, loves to host these Lego Club times. We received a call on Saturday to remind us that this month’s club time would be held at a senior assisted care facility in town, would we be able to come? YES! 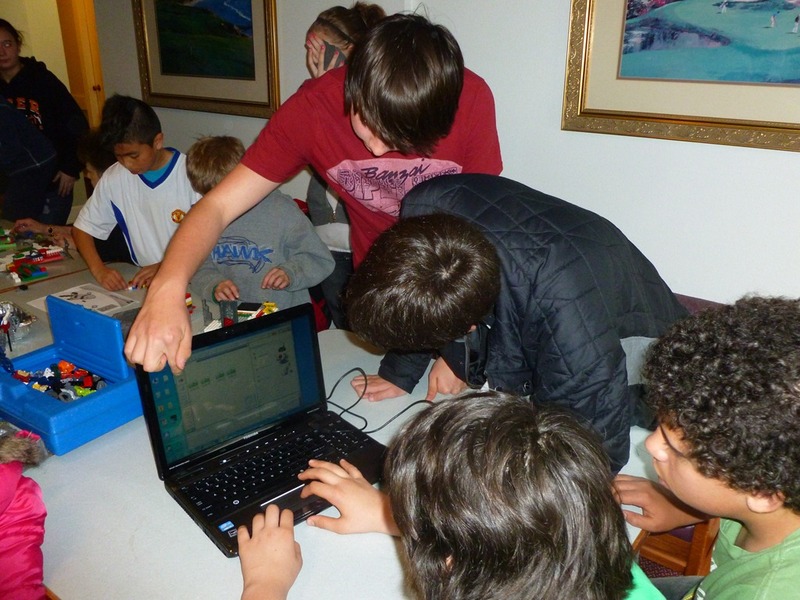 The boys gathered up the FLL Educational NXT sets, charged the laptop, and headed out the door! Our friend Simon, one of the boys staying with us for a while. 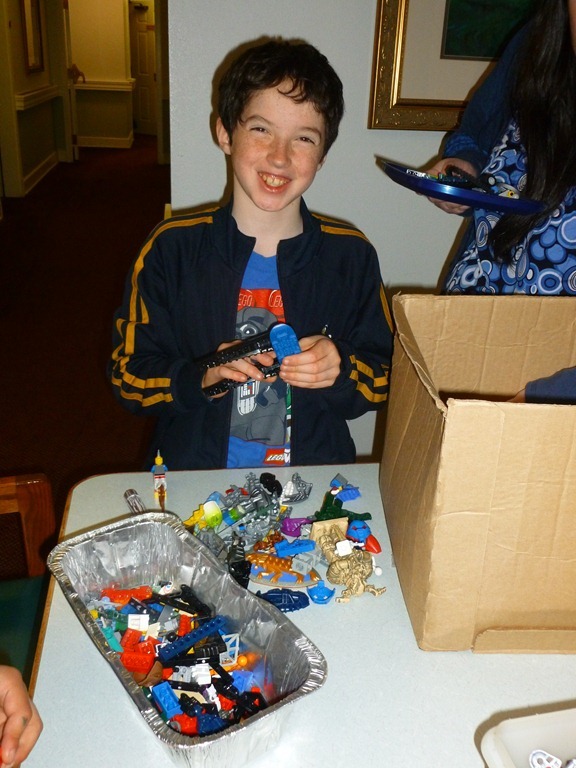 He REALLY loves Legos. Does it show? Jon, in Camo, helps some boys build. 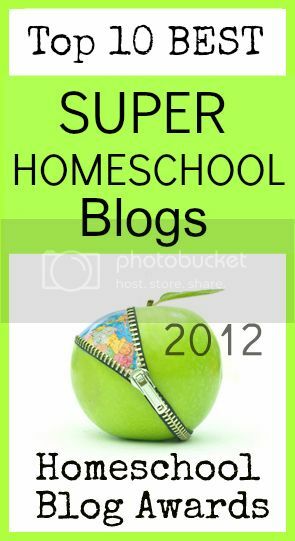 Poor unsocialized homeschoolers. 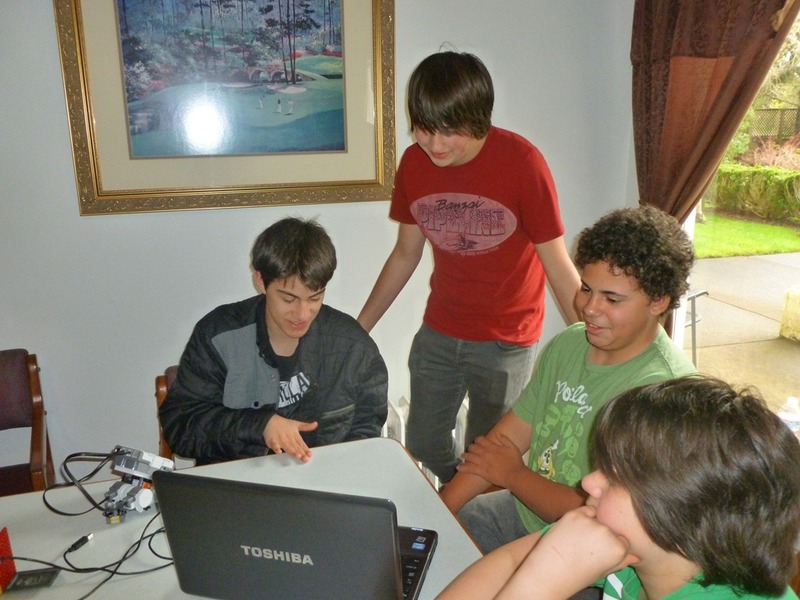 The older boys are working on building a robot from scratch at the end of the table. The young man in the black sweatshirt is a new to us friend. He came with a little brother and was pretty excited we brought the FLL items. 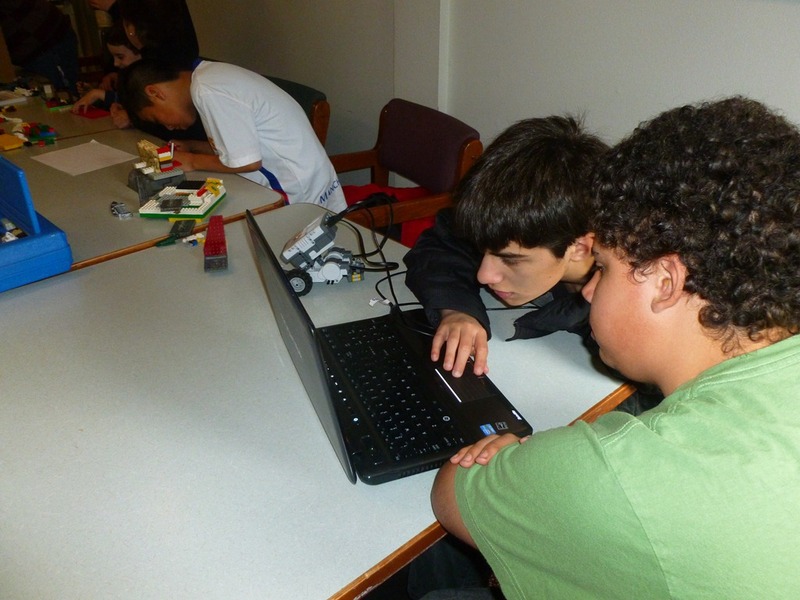 Adam, in green, helps him program the robot. They built and programed it in less than an hour. Nate, in the red, and Scott looking on. The goal was to get the robot to go back and forth on the small table, turning tightly, and then in a loop. Man they did a good job. I wish we had that tight turn figured out at last tournament! It always fills my heart to hear the boys discuss how to solve problems. Looking at the code and figuring out the loop just right, all the kids were so involved they didn’t even realize I was snapping photos. Yeah! 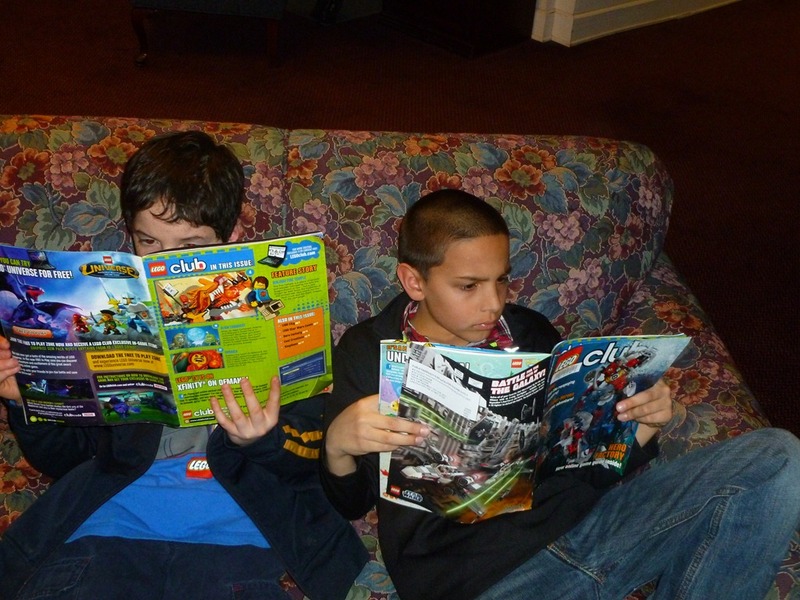 Thank you Driftwood Public Library – Rita, Cathy – ORTOP, FLL – for bringing this to our lives! Thank you to the Grant Givers!!! Looking forward to another great season this fall! 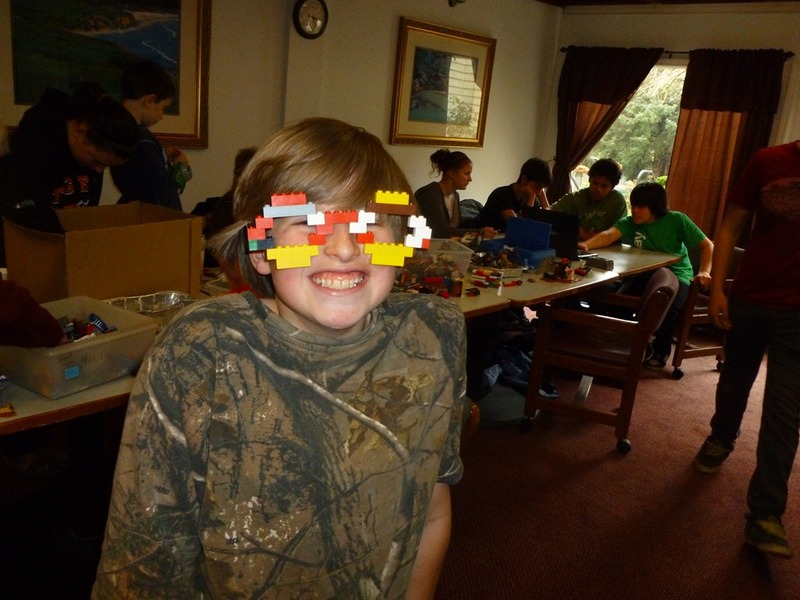 This entry was posted in Some Schooling and tagged community, FLL, HomeSchool, Lego, Lego League, ORTOP. Bookmark the permalink.